Anythony Wilson and Jayfa came together for an interesting collaborative build. The image of Yin and Yang is a symbol that many are familiar with today. These two builders brought their creature building skills together to form a piece that could easily be considered art. 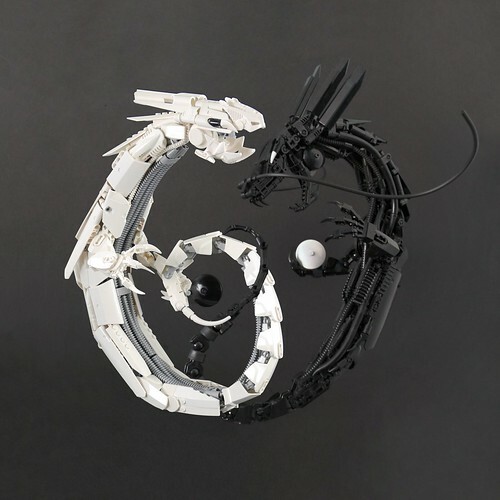 A depiction of Yin and Yang through the shape of two dragons. Beautiful!